Businesses have a website to communicate with customers online, best practices dictate that businesses further develop smaller mini sites along side their main site to reach a particular segment of the market that might be defined by language or a particular interest. Without the necessary planning, businesses can find themselves without suitable website management. Each site might use different infrastructure making it costly to manage minimizing the effectiveness of the overall presence online and particularly each individual website. With the development of a full service, unified backend you can manage the full range of websites and a smooth transition to a mobile presence and complex marketing strategies. A website can require a complex division of information into different categories and subcategories. The complexity of the arrangement is necessary but can be time consuming and costly. The structured information is set up in a database that makes up the central backend. Due to the versatile programming and adaptable structure, the database can be applied in different ways. So once you start building other sites you have the freedom to decide what information should have access and be applied to the new site. The structure doest need to be duplicated and it can be seamlessly accessed by the other web locations. A unified backend management system will prove to be a very important tool as you continue to develop. The structured backend allows the business the freedom to develop and have full control over how the database and the information are used. A central back end will save considerable amounts of time with numerous potential updates. The central back end enables management to make decisions that will then allow simple population decisions to be implemented. This allows for websites being prepared in a fraction of the time and keeps the business and its related projects efficient and productive. The system protects website administrators from slipping into unnecessary and inefficient approaches to apply new information, updates and changes to the websites. It ensures that the websites infrastructure is unified working with the same technology and settings. Administrators can decide to upscale a web location with ease with the unified backend. A good demonstration of the simplicity of the system is a company that started with building a website to showcase its product range to facilitate business to business sales and business development. They later supported market growth with a mini website. As they grew they added categories and sections to the main site and decided to expand the mini site with these new sections. The backend that was managing these two websites provided a simple option to apply the new categories to the mini site. Recognizing that the new sections would be in great demand they built a mobile site to solely promote the new sections. Building the third site was simple by populating the new site from the preexisting data stored and organized in the database. The central backend provides support to publish information, develop and scale the websites according to the businesses needs. The usability and functionality comes from the power of the unified backend and strength of the central database to manage the many options. As you expand your web locations using a central unified backend can make changing and managing product information very simple. The central backend gives the freedom to decide how to sell the products on different websites. To maximize the effectiveness of using multi-channels to sell your products the backend can coordinate and manage the details to efficiently accomplish the sales strategy. Similar opportunities are available for services, where multichannel management allows for diversification of the details and allows for the freedom to develop websites with different variables to attract various markets. The Unified backend supports businesses that require an effortless, effective approach to uploading and organizing content on their website. It offers an efficient way to then propagate other websites with the content. The back end offers full control of all the data, giving the choice to managers and administrators to decide what websites should have access to the content. Resourceful distribution of the content, using the central backend across the many websites, can allow business to continue to maximize their websites relevance and value to the community leading to further results in SEO and page ranking. Keeping the websites in a coordinated fashion to further the marketing objectives can be complex and time consuming. For the sake of marketing beyond the websites, some of which may be mobile enabled, you may have promotional landing pages for sales and particular products. Using a central backend can offer the ease to decide on all manner of marketing elements to ensure the marketing communicates directly to the relevant market while managing the details to ensure the marketing is streamlined, working together across all the platforms. The unified backend provides support for the marketing activity to achieve its goals. Potential customers may come to get information or buy a product or service. 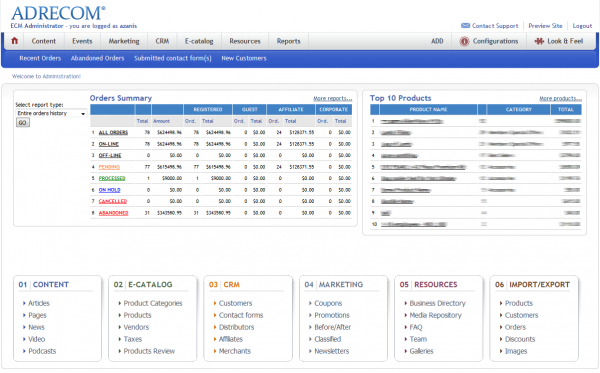 The central backend allows you to receive information from all your websites in an organized fashion. Some websites may be designed for product questions and general enquiries while other websites may sell products in addition to allow customers to enquire on products. 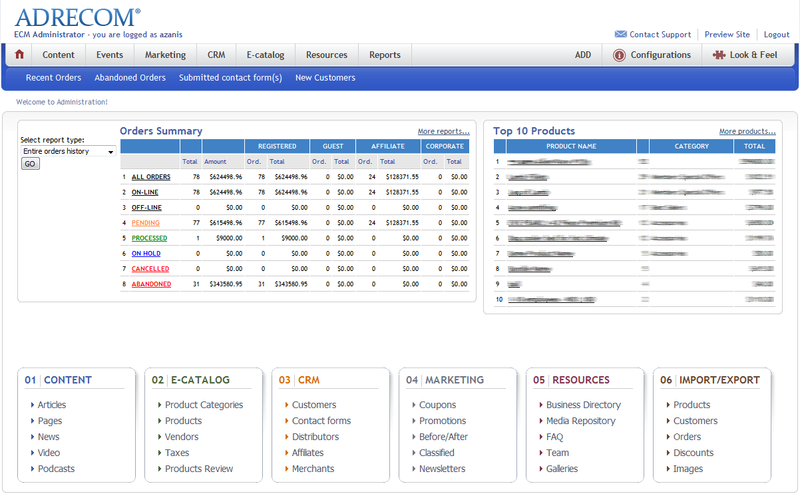 The unified backend allows full management of all acquisitions and communications from customers. This powerful element allows you to remain disciplined to fulfill all the business activity online. This will provide a competitive edge to your operations online be it orders fulfillment or communications. The costs involved to build and manage a second website can be expensive and may concern business owners. The unified back end is another option and each of the sections discussed here, showcases the money saving capabilities of the back ends structure. The ease in which you can set up a website, big or small, populate it with current and future information, develop the site and manage incoming and outgoing information in the form of marketing and sales, offers a solution will save time, minimize the amount of time and money that needs to be allocated to technicians and simplifies the general management of all the sites arranged in the backend.